Introducing Mr. & Mrs. LaGrange! First session of the year and what a way to start out 2018! I loved getting to work with these two, they just barely got married so I'm so happy I got to do this session for them before Leon left. They're such a cute couple and so photogenic! This session is definitely one for the books! 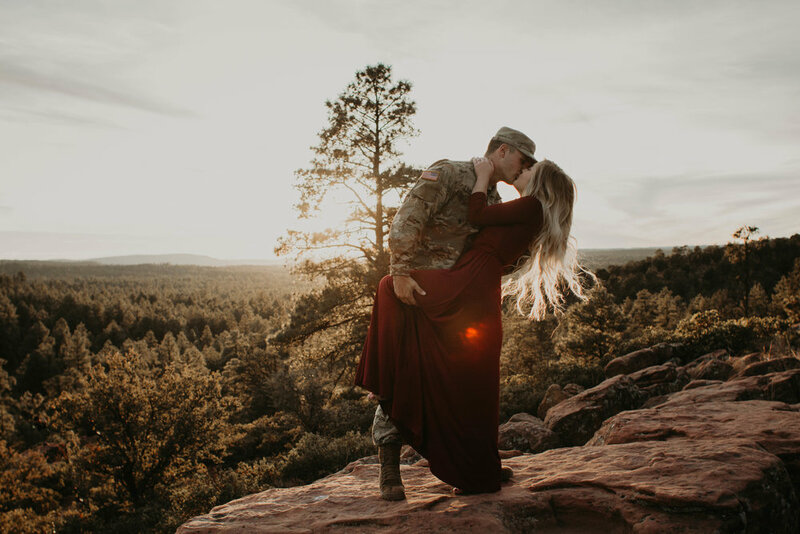 It's always an honor to be able to photograph people who serve in our amazing military, especially when it's with they're gorgeous girlfriend/wife! Leon's the first one to be in uniform and it was so fun to incorporate it in the photos. This year I'm going to start giving discounts to those serving or who have served in our military!